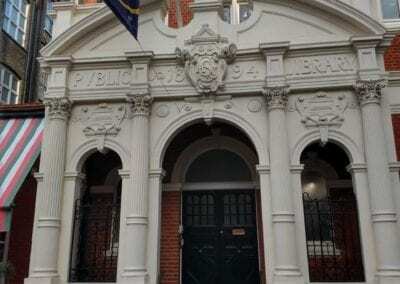 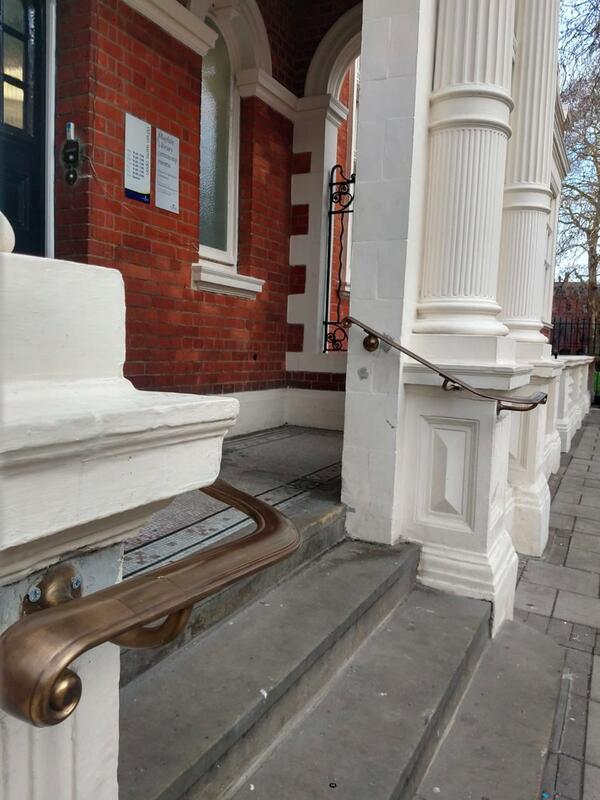 We were given the task of making a new brass handrail to mirror the one on the left-hand side of the entrance. 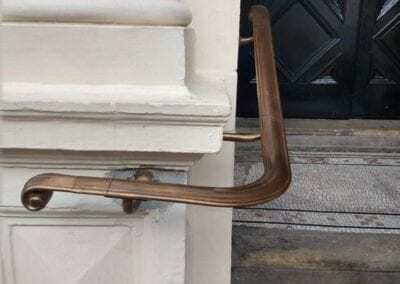 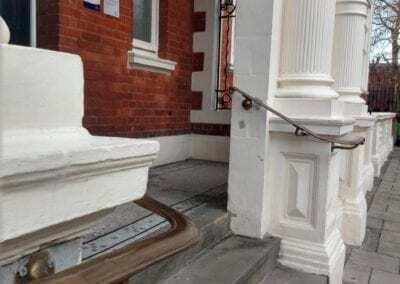 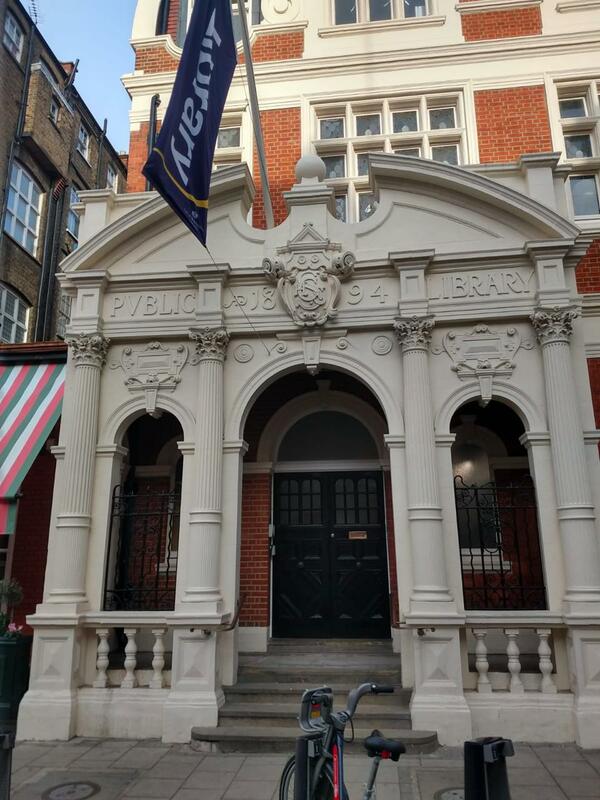 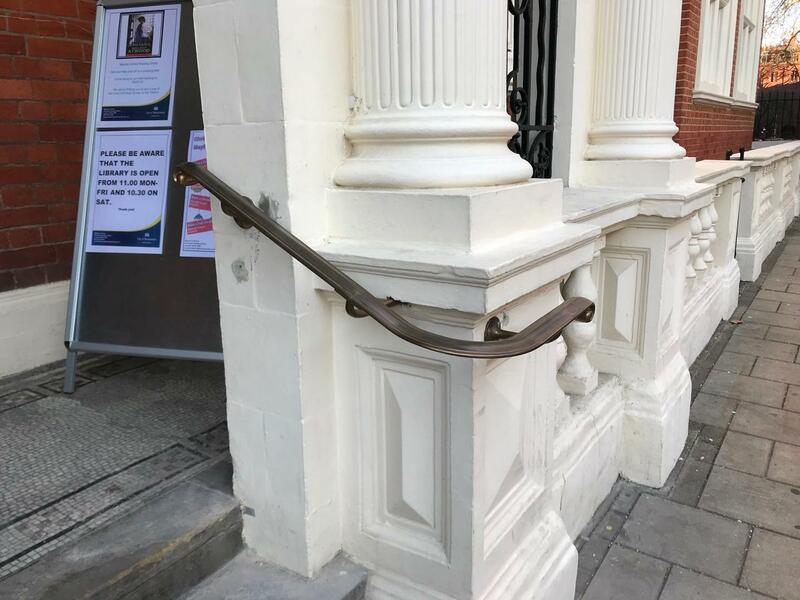 We removed the original to use as a pattern, our brass specialist carefully fabricated its twin, then we took both handrails to site and fitted the original back in place and the new handrail on the right-hand side of the entrance steps. 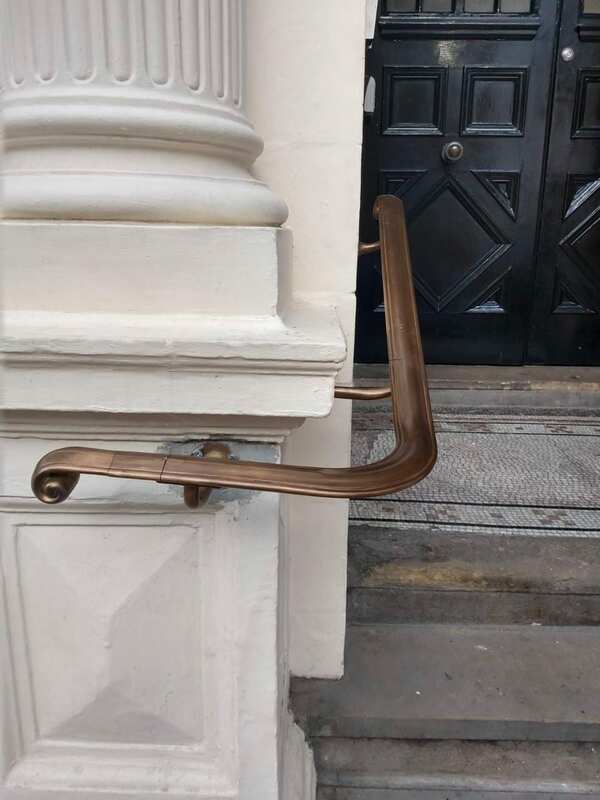 Job very well done.